Susan was relatively new to San Diego. She made an indelible mark in just 4 years and developed a multitude of friends in short order. She joined the Board of Directors of Activist San Diego and served as one of its officers. Susan reveled in the idea of building a network for social justice, that would engage new people and anticipated the pending launch of ASD’s FM Community Radio Project. Susan was an enthusiastic member of Freedom Road Socialist Organization, believing that it was essential to have an internationalist, long-term, post-capitalist, vision to complement grassroots activism. 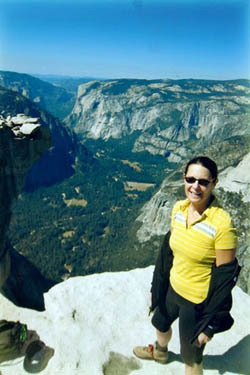 Susan thrived in the wonders of the nature. Love and respect for the environment ran through her blood. Susan was a wonderful mother and incomparable partner. She was fabulous cook, loved good wine and feeding thoughtful company. She gravitated to those who sought deeper human bonds. From her teenage participation in the African-American Civil Rights movement to her recent defense of marriage equality, she always cherished the quest for fuller equality. Martin and Susan met 37 years ago, lived intensely and traveled for 6 months in the back roads of South America at a time, not unlike today, when the continent is alive with social change and the people were yearning and organizing for freedom. The experience transformed both of us at our core and led us on a life-long quest the cause of justice. She wanted this to be part of her legacy. We welcome your participation and will cherish your donations. When Susan got diagnosed, she was the recipient of all the good karma that she had spread over the years. A community of friends she’d recently made in San Diego enveloped us with love and met our every need. But in a matter of just 12 weeks Susan succumbed to the invading brain tumors that stole her vital functions. Like a good freedom fighter, her spirit relinquished the territory of a dying body and now travels freely among the people. Her loving, fighting spirit lives on with us wherever the cause of justice is at play. We miss her deeply, but she’d want us to renew our commitment to each other and all that will sustain our natural and human environments. In loving humanity and one another we show our lasting love for Susan and all she lived for. Don’t Mourn, Organize… and party! for me over these past few days. it is simply impossible to describe. and keep those positive thoughts coming! !